The Lost Mine Trail at Big Bend National Park offers amazing views of this unique and remote Texas landsape. 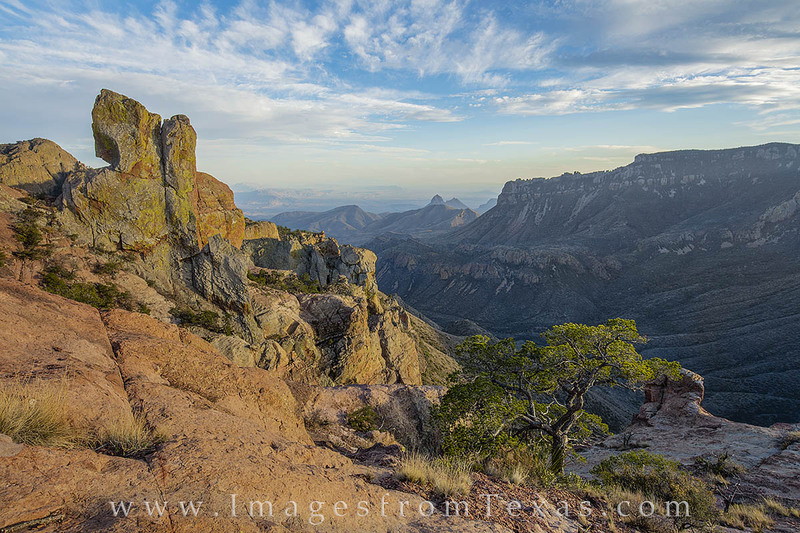 This view of Juniper Canyon looks south toward the Mexico border and across the ancient Chisos Mountains. Photo © copyright by Rob Greebon.